Rejuvenate and Relax at the Spa – Yours! There’s nothing like a portable spa (also known as a hot tub) for rejuvenating and relaxing after a busy day or getting ready for a big event — or just anytime! We are the area’s most experienced spa dealer. And we sell the most reliable and beautiful spas available on the market. 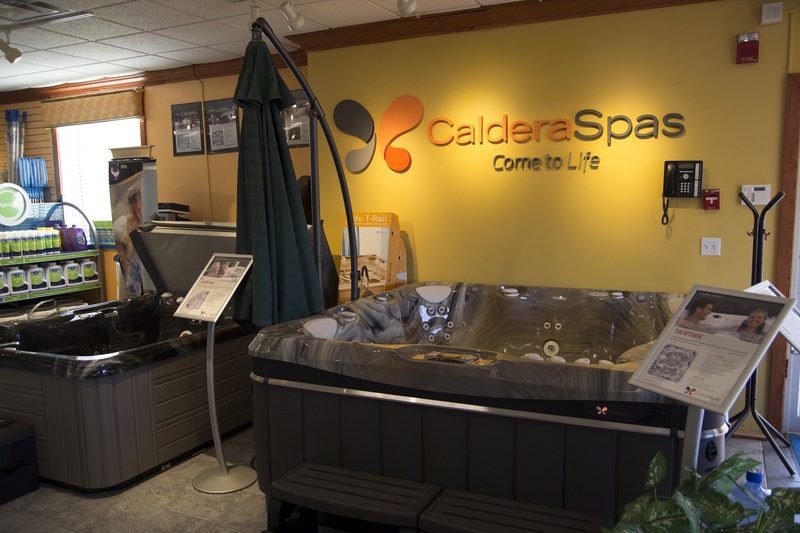 We offer the full range of spas from Caldera Spas and Fantasy Spas, two of the finest brands in the industry. They feature a variety of sizes, designs, and features that pamper you with unsurpassed quality and comfort. We look forward to advising you and helping you select the spa that’s best for you. Caldera Winter Wonderland! 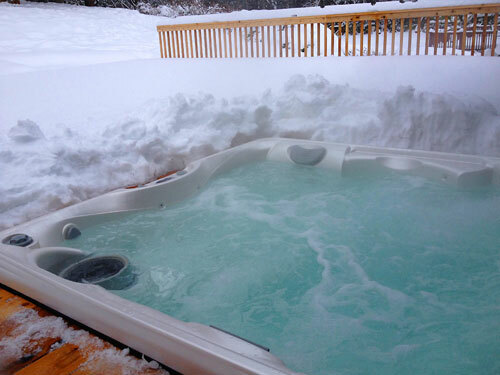 Will a hot tub hold up in a winter blizzard? The shoveled path on this deck leads directly to the hot tub — proving what every Caldera spa owner already knows: hot tubbing after a fresh snowfall is one of the best ways to enjoy winter weather.